The Holy Eucharist with the Installation of the 27th Presiding Bishop of The Episcopal Church, Bishop Michael Bruce Curry, will occur on Sunday, November 1 at noon Eastern at Washington National Cathedral. The Rt. Rev. Michael Bruce Curry, Bishop of the Episcopal Diocese of North Carolina, was elected and confirmed as the 27th Presiding Bishop of The Episcopal Church at the 78th General Convention on June 27. According to the Canons of The Episcopal Church, he becomes Presiding Bishop on November 1. 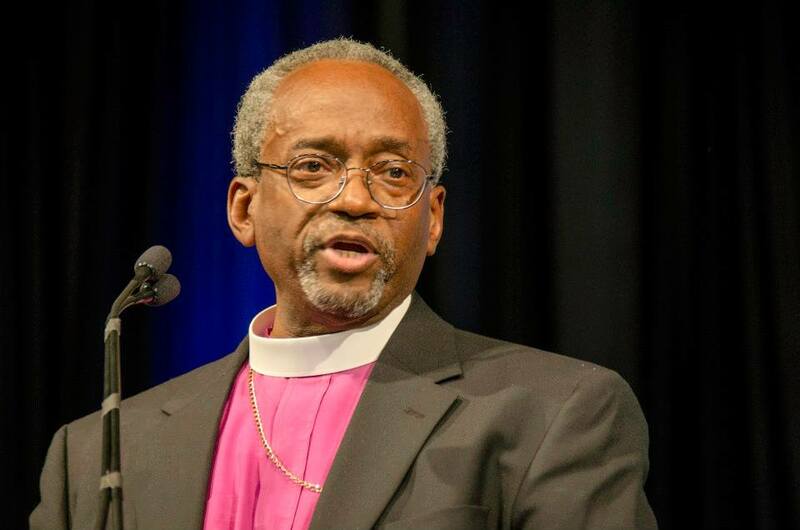 Bishop Curry is the first African-American to be elected Presiding Bishop of The Episcopal Church. The Holy Eucharist with the Installation of the 27th Presiding Bishop will be live webcast. Episcopal, Anglican, ecumenical, and interreligious guests are expected to join bishops, General Convention deputies, Executive Council members, and other leaders, members and guests of The Episcopal Church for the celebration. Media: Media credential applications will be available September 8. Details on media coverage and opportunities will be announced at that time.